Get the new Chelsea F.C. 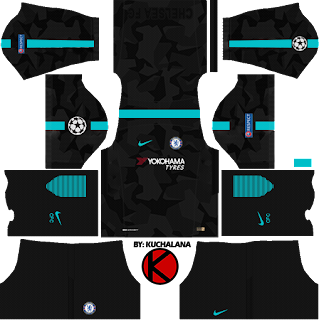 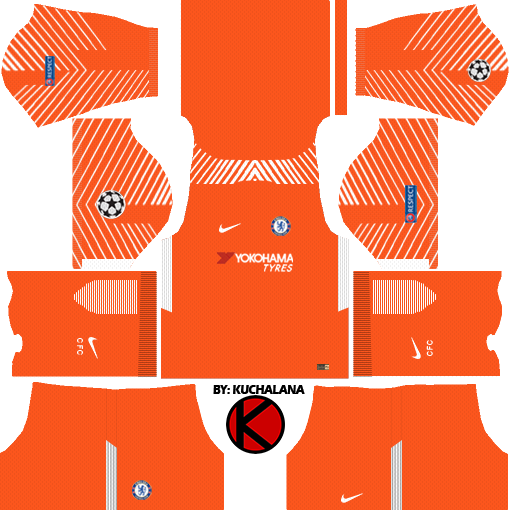 Nike kits seasons 2017/2018 for your dream team in Dream League Soccer 2017 and FTS15. 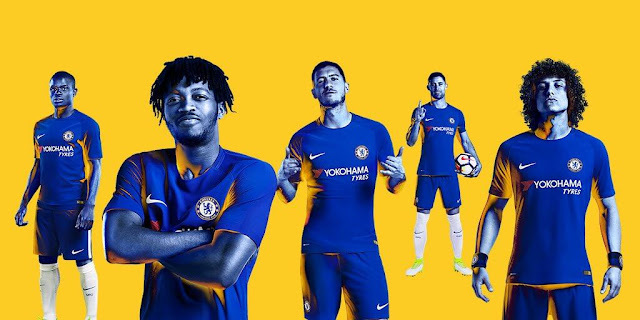 Begin this season Chelsea move from Adidas to Nike, their has signed a contract for 15-year deal worth £60m per season estimated. 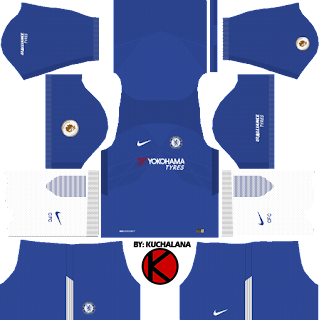 Chelsea has worn adidas kits since 2006. 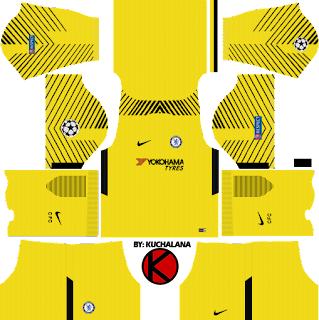 Before then The Blues had worn Umbro for most of their history of having kits provided by technical sponsors (which began in 1975). As we have seen, both shirts are simple designs that fit the new Nike template. The place is all blue, with a dark tone taken from shirts of the 70's, while the alternate is silver in honor of the titles that the club has recently achieved in all its categories. The premise of Nike with the Premier League champion is quite conservative. Home jersey is completely blue, color logos and implementing the club's name blank behind the neck. 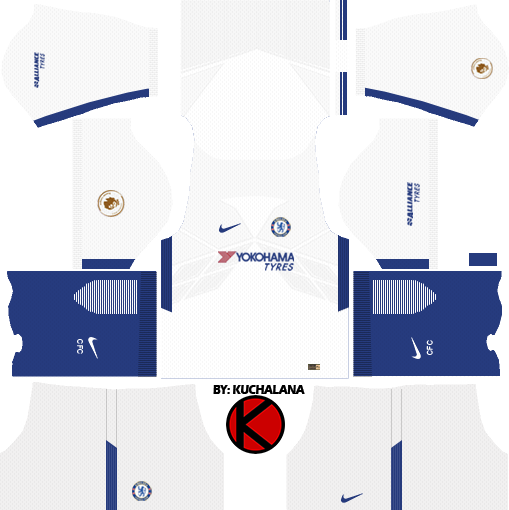 The alternate changes cut the neck (the same as we see in America) and passes a color be described as catalogs silver with touches of blue. A third is still to be sifted, but we understand that all of Nike's third will be thrown away from home and away. * Update : Chelsea kits for UEFA Champions League 2017/18. 14 Komen untuk "Chelsea F.C. Kits 2017/18 - Dream League Soccer"